In this superb new novel by the beloved author of Open House, Home Safe, and The Last Time I Saw You, four women venture into their pasts in order to shape their futures, fates, and fortunes. Cecilia Ross is a motivational speaker who encourages others to change their lives for the better. Why can't she take her own advice? Still reeling from the death of her best friend, and freshly aware of the need to live more fully now, Cece realizes that she has to make a move—all the portentous signs seem to point in that direction. She downsizes her life, sells her suburban Minnesota home and lets go of many of her possessions. She moves into a beautiful old house in Saint Paul, complete with a garden, chef's kitchen, and three housemates: Lise, the home's owner and a divorced mother at odds with her twenty-year-old daughter; Joni, a top-notch sous chef at a first-rate restaurant with a grade A jerk of a boss; and Renie, the youngest and most mercurial of the group, who is trying to rectify a teenage mistake. These women embark on a journey together in an attempt to connect with parts of themselves long denied. For Cece, that means finding Dennis Halsinger. Despite being "the one who got away," Dennis has never been far from Cece's thoughts. In this beautifully written novel, leaving home brings revelations, reunions, and unexpected turns that affirm the inner truths of women's lives. "Maybe Freud didn't know the answer to what women want, but Elizabeth Berg certainly does," said USA Today. 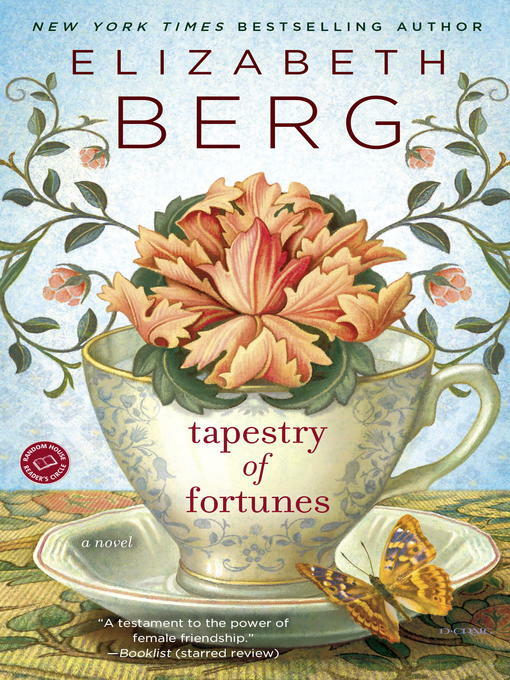 Elizabeth Berg has crafted a novel rich in understanding of women's longings, loves, and abiding friendships, which weave together into a tapestry of fortunes that connects us all.